With the power and protection of Propolis, this 50% Propolis Extract, is a concentrated dose of bioflavonoid activity. Comes with eye dropper in a 1oz. (30ml) bottle. 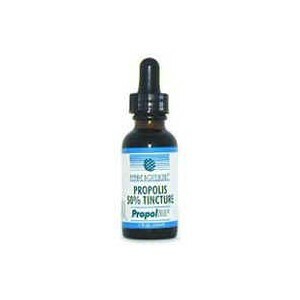 Our Propolis Extract at 50% concentration in food-grade alcohol, provides a concentrated dose of bioflavonoid activity. It can be taken internally, mixed in honey or other beverage. It can also be used externally, to protect cuts from getting infected. The thick concentrated Propolis doesn't dry completely and its recommended to cover wounds with gauze. Our customers of Propolis Extract, include children, adults, pets, even fish. Proven antifungal, antibacterial and anti-tumor, Propolis is quickly gaining the attention of many pharaceutical companies for its adjuvant therapeutic qualities. In fact, recent research has found Propolis enhances the effects of prescribed antibiotics and sped up the healing of bone fractures. Click here to find the latest research on our blog. Equipped with an eye dropper, it's easy to dispense on the spot, down the throat or in your favorite beverage or cereal. 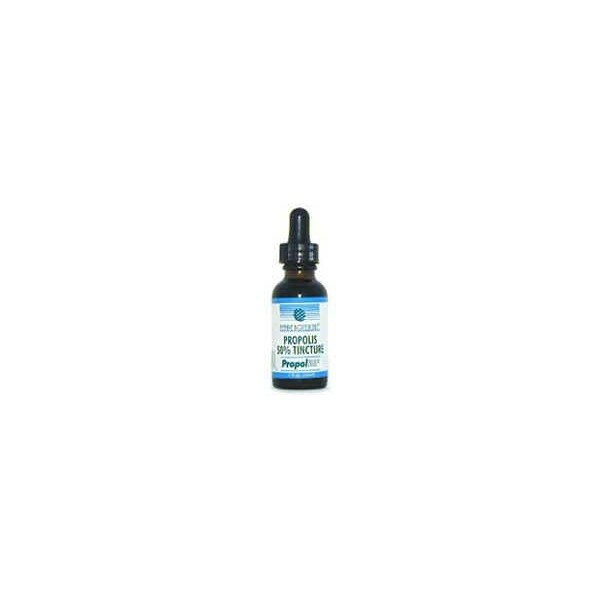 The 1oz, (30ml) bottle provides 10 drops per serving, the Propolis concentration per 10 drops is 235mg and each bottle contains 60 servings. 2015-07-19 Claire .... Un produit qui s'est avéré très efficace contre les verrues plantaires que j'ai attrapées à la piscine. 3 applications ont suffi à les faire disparaître. 2011-08-24 veronique .... excellent! I used it after having my teeth removed and my gum was healed very quickly.